FincaSLC.com is offering a special dinner tasting menu for $45 a person and optional wine pairings. These menus feature big plates, small plates, and a variety of exquisite Spanish foods that would be delightful for a romantic Valentine's night. We found out about Finca from a featured article on City Weekly about the top Valentine's day events, and they were listed as the number 1 option for Utah. Little America is offering a Valentine's day package that includes accommodations, a single rose, a box of chocolates and a bubble bath. This offer is valid February 13th-15th, exclusively for Valentine's day! This Valentine's day package was 6th in Google's search engine for "Valentine's Day Utah". Getting their company to rank for this broad keyword string is a great way to gain more leads and take advantage of this holiday. Another fun date night for Valentine's day in Salt Lake City is to go with your significant other to a Paint Nite event. Each event is a two-hour long paint session for only $25 where participants create a 16x20" piece of artwork that mimics a famous art piece while sipping a glass of wine, beer, or mixed drink. Paint Nite gives you all the materials to create your piece of art, and there is an artist who guides you through the whole process while you and your date mingle and paint. Paint Nite offers many discounts, and one of the mediums I have seen them on many times is Groupon. While searching for events in Salt Lake City through Groupon, they always come up on the top of suggested events and discounts. This medium allows you to be able to give this event as a gift, purchase with ease, and get a great discount on a fun Valentine's day date night! "It's all about kisses and fishes at the Loveland Living Planet Aquarium in Draper", says an article posted in KSL. We couldn't have said it better ourselves. What a better way to spend your Valentines day then at the Draper aquarium with your date? There are many options available, you can purchase general admission tickets for only $17.95, go to the 4d theater, listen to live music, and/or enjoy an amazing dinner all on site. This killer Valentine's day idea was found on an article by KSL featured in Google's news feed as the first suggestion of a list of "10 Valentine's Day date ideas near Salt Lake City". What a great search engine marketing technique to be featured in an article by KSL! Cuisine Unlimited Catering and Special Events is offering catering for a Valentine's dinner for two. They have a variety of specials including a grilled salmon filet, beef tenderloin filet, and more. Hand-delivering every meal, they can cater your intimate dinner, a large Valentine's party dinner, assist you in floral arrangements, and more. If you want to stay at home and have a romantic evening alone, this is a great option. Cuisine Unlimited Catering was the first featured company in an article written by Park City Magazine that was ranked as Google's number 1 search result for "Valentine's Day Park City". 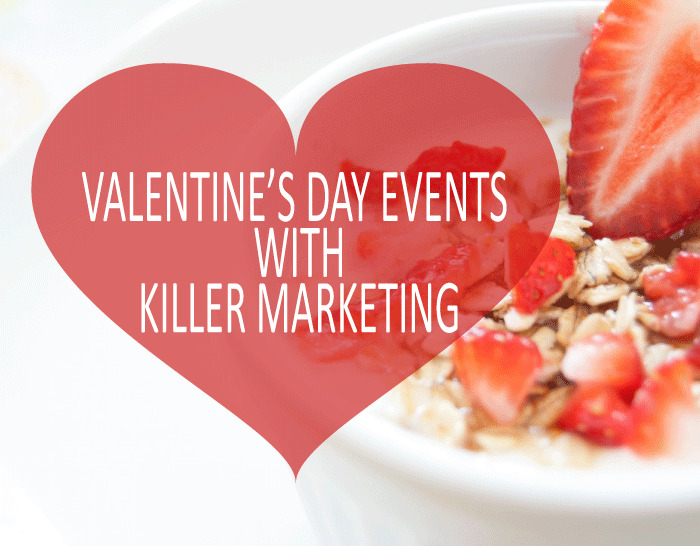 It doesn't get much better than that if you are trying to rank for Utah SEO in your area for a specific event like Valentine's day. Do you have any other fun Utah Valentine's Day events? Feel free to add comments below of your best Valentine's day idea!